LOWEST PRICE PER GRAM ON FINE 925 STERLING SILVER JEWELRY & CUBAN LINK CHAINS !! Silver Jewelry Co Has The Lowest Prices On Fine Italian 925 Sterling Silver Jewelry & Chains. 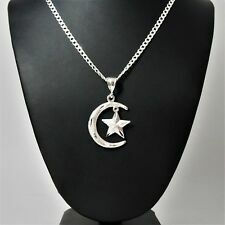 We Have Something For Everybody, From 925 Silver Kids Jewelry Earrings, Necklaces & Pendants, To Womens 925 Silver Necklaces, Chains, Pendants & Charms, to Mens Sterling Silver Jewelry, Chains & Necklaces. We Carry A Great Selection Of Solid Italian Silver Mens Chains Like Miami Cuban Link, Curb,Figaro & Marina Links & Diamond Cut Ropes. For Women, We carry Box Chains, Twisted Serpentine, Cable Link, Gourmette, Diamond Cut Ropes, Curb, Cuban Link as well as Necklace w/ Charm Sets & Pendants. Our Lighter Necklaces Are Perfect For Pendants & Charms .. Our 925 Silver Jewelry is 100% Solid & Stamped w/ "Italy" & "925" & Meets AGI Stardards & Purity. Compare Our Price Per Gram to The Competition & See Why Silver Jewelry Co Is The Low Price Leader .. Heavy 11mm Solid 925 Sterling Silver Cuban Link 6 Sided Curb Chain Men 24"